There’s currently a lot of Internet stink about some limitations imposed in the NRA Carry Guard training. I’m not going to comment about Carry Guard in general because as an Instructor certified in numerous disciplines through the NRA Training Department, there’s a possible conflict of interest. They’re staying in their lane of competency. Looking at the background and resumes of the instructors, running a striker fired autoloader or Sig 226 is mostly likely all they’ve ever been trained with, practiced with, or used. Revolvers and 1911s have a different manual of arms and idiosyncrasies that these instructors, with the exception of Jarrett who was briefly with the LAPD decades ago, are probably not familiar with. Why would we then encourage these Carry Guard instructors to teach students how to use weapons they are not experts in the use of? How often has the meme ‘Stay in your lane’ surfaced lately? To his credit, when Rob Pincus wanted to make a DVD about Snub Revolvers, he brought me in to do it, just as he did with Dryfire. I’m an expert on those topics and he is not. Perhaps it could be ‘the Silver Standard.’ Without seeing first hand what actually takes place at the training, there’s no way for me, or anyone else, including NRA Carry Guard, to say. What they are going to provide remains a prototype, unlike the training provided by NRA Certified Instructors, which are proven training processes. How well Carry Guard’s training prototype will translate to the Instructor candidates being recruited also remains to be seen. At least as long as you’re not using a revolver or 1911. Then you don’t have to be concerned with it. The man went inside and confronted another man he found in his shower, deputies said. The homeowner left after the two exchanged words. ‘He returned home, retrieved a firearm, came back over to the residence and fired multiple rounds into the shower … killing the intruder,’ said Mason County Sheriff’s Lt. Travis Adams. The homeowner called 911 and told dispatchers that he had just shot and killed an intruder, Adams said. It’s not clear how long [the intruder] had been inside the home, but detectives don’t believe the homeowner gave him any warnings before he fired his gun, they said. Deputies later arrested the homeowner for second-degree murder. They believe he had ample time to call for help when he went back home. The odds are that the shooter will spend a significant portion of the rest of his life in prison. This is a Negative Outcome. It’s a clear example of how foolish the “I’ll shoot anyone I find in my house” ideology is. I’ll shoot anyone I find in my house. When I posted the link to the story on my Facebook page, one person replied that he SHOULD have been allowed to kill the intruder. My response was: “No, adjusting our response to the context of the situation is what keeps us from being savages.” Usually, it makes me cringe when news stories refer to someone being ‘gunned down’ but in this case, I think it would be appropriate. What the shooter did was a savage act of unnecessary lethal violence. It wasn’t motivated by fear for his safety or the safety of his loved ones; rather, it was a senseless expression of emotional outrage. We shoot people only when we have to not because we want to. Yes, your home is that castle. However, that doesn’t mean you’re allowed to install an execution chamber. The number of people who own firearms or other deadly weapons and yet haven’t the slightest clue about the legal ramifications of their use is astounding. Know the Rules needs to be a standard of our conduct just as much as the physical ability to use the weapon. What you might think the rules are or should be is irrelevant. The actual rules are all that are important. It used to be that reliable information about the legalities of personal protection was hard to come by. Not anymore. There are numerous readily available sources of information about the law. Without leaving the comfort of your home, several good sources are available. For the lack of reading and understanding a book, the Washington shooter will pay dearly. His legal fees for the trial will most likely cost him everything he owns and he’ll still probably go to prison. I recently attended the Law Of Self Defense Level I and II classes. They were an excellent legal education resource, tailored specifically to the State I live in, Georgia. The law does not necessarily make sense nor does it have anything to do with what you think it should be. The cost of such training is minor compared to the cost of a trial or even just being arrested on a charge that is later dropped. The optional simulator exercise at the end of the day was also a sobering demonstration of how poorly unpracticed people tend to shoot under stress. LOSD classes are available all over the country and are specifically tailored to the laws of the State they are given in. 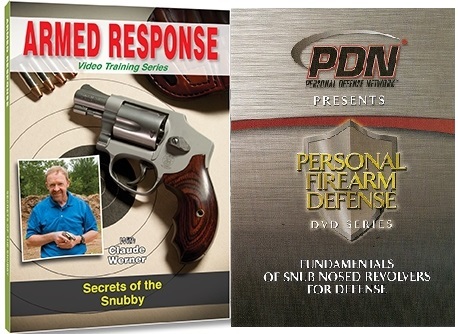 A benefit of membership in the Armed Citizens’ Legal Defense Network is the training DVDs provided with membership. Once again, you can learn a great deal about the appropriate and inappropriate uses of forces without having to leave your living room. Don’t guess, don’t listen to the foolishness you read on Internet Forums, and don’t make decisions based on what you think the rules SHOULD be. Invest at least a little of your resources and find out what the rules really are. It’s true that most situations are fairly cut and dried and work out legally for the defender. The issue is that when things go bad, they tend to go really badly. The rest of your life can easily be at stake. Very few of us would look forward to spending decades in the can (prison) without a Man Lock by McGard. Perhaps the most unintentionally funny advertisement ever. Also, if you’ve taken a State CCW class, the one hour briefing when your eyes glazed over doesn’t count as any kind of meaningful legal education. Don’t confuse that with education that actually teaches you how to apply the law to your personal situation. Fair disclaimer: I was a guest of LOSD for the classes and didn’t have to pay for them. However, no promotional consideration for my recommendation was offered nor accepted by me. Endnote: The intruder in Washington was probably a confused drunk. That’s not going to go over well for the shooter, either. Of all the things Jeff Cooper said, the above saying has become the most prevalent mantra within the firearms training community. It has been memed in many ways. The latest I saw was ‘Without training, you are just pretending.’ The original saying and its various memes allude to the need for gun owners to be trained, ‘regulated’ in the sense of the Second Amendment, in order to be able to effectively use their weapons for personal protection. 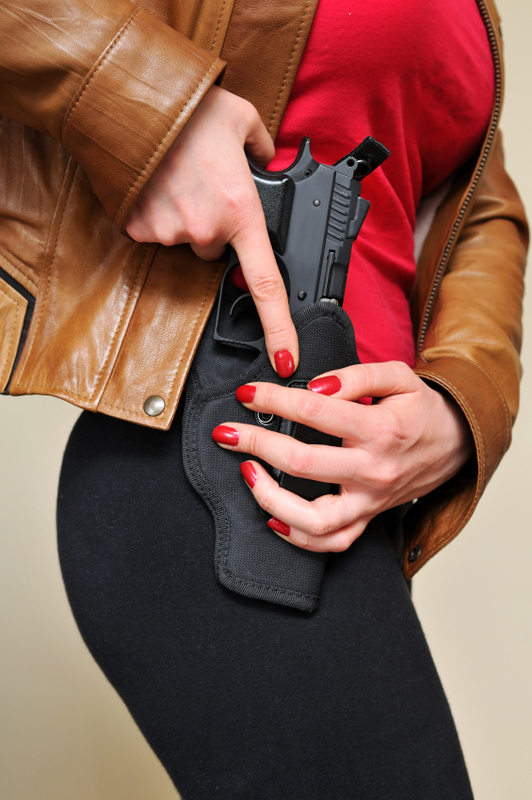 Why, then, don’t more gunowners pursue training beyond the bare legal minimum, where required? First of all, let’s confront the validity of the statement itself. We should note that there are quite a few capable musicians and singers who are self-trained. With regard to firearms, the firearms training industry has really only existed since the mid-1970s, when Jeff Cooper founded the American Pistol Institute at Gunsite. Before then, even many police officers didn’t receive much in the way of training. There were virtually no venues available for formal training for Private Citizens, other than the Boy Scouts or Camp Perry. Does this mean that in the 200 years of US history preceding the foundation of API, the American people were ‘unarmed?’ Of course not. Americans have a rich history of shooting predatory no-goods without a moment’s hesitation, even before the foundation of the Republic. On an almost daily basis, we read and circulate reports of Armed Private Citizens defending themselves, their families, and their neighbors with firearms. The vast majority of these incidents are successfully solved by people who have not one bit of formal training. What this means is we trainers can’t have our cake and eat it, too. Every time we celebrate a successful defense, and rightfully so, we essentially invalidate Cooper’s saying. Time and expense should be discussed together because they are both personal resource constraints. The time demands on most people are extensive, especially in a single parent family. Similarly, money is tight for the majority of Americans. The question “How much is your life worth?,” another popular meme in the training community, is moot when the rent is due tomorrow and your kids want to eat. Accessibility and scheduling are another pair of related issues. According to the US Census, 80.7 percent of Americans live in urban areas. Where are most training facilities? Out in the boonies, in what the Census describes as ‘rural areas.’ While there is some instruction that goes on at indoor ranges, my experience is that it is best described as ‘familiarization’ rather than training. This is a huge disconnect. The location of training facilities is a factor that impacts the time issue I previous mentioned. If a person has to budget several additional hours or days, just for travel purposes, that becomes yet another resource constraint. To its credit, the NRA Training Division is trying to address this issue through the use of a ‘Blended Training Model’ of both online and in-person training. The result among the NRA Instructor community has been mostly anger and serious pushback. Much of the dissension is based on pure economics. I’ll let you draw your own conclusions about that. With regard to scheduling, when do trainers tend to schedule training mostly? I submit that we schedule when it’s convenient for us, not for the students. That’s one reason I have gone exclusively to short evening classes and one day only weekend classes. Asking people to spend both days of a weekend, out in the sticks, is simply an unreasonable demand on their time. Lack of motivation, incentive, and understanding are allied factors, as well. About them I will say we in the community simply haven’t made a good case for what we teach and why we teach it. This is especially true in light of the regular reports of people who successfully defend themselves and their families without any training. Although we trainers spend a certain amount of time talking about what we teach, we still haven’t made a good overall business case for “What is the value of training?” Until we do, folks just aren’t going to come. I think the training community might benefit from some Dale Carnegie training for itself. None of us can imagine the feelings that must occur in the case of a mistaken identity shooting of a family member. We don’t like to talk about this sort of thing in the gun community but it happens on a regular basis. Don’t let it happen to you, on either end. I’ve written about this before and probably will again. It’s an avoidable tragedy. A writer from Gun Digest contacted me about the Five Year Armed Citizen study TAC 5 year w tables I did a while back. He asked if I would give him a quote about it, so this was my reply. “Analyzing incidents involving Armed Private Citizens, rather than LE/MIL situations, leads to different conclusions. Common discussion topics among Armed Private Citizens, such as equipment and caliber issues, rarely are the cause of Negative Outcomes. Negative Outcomes result from 1) lack of conceptual understanding leading to poor decision-making, and 2) lack of appropriate and necessary skills, techniques, and tactics. I’m scheduled to get my NRA certification as a firearms instructor for basic pistol next month. Do you have any advice for me, in starting out as an instructor? class, and who don’t do anything to measure and improve their skills. My personal library has over 400 books about guns, shooting, tactics, police work, and military history. The subjects run the gamut from appropriate rifles for African hunting in the early 20th century to analyses of the effects of using deadly force by the shooter. My collection has over 100 DVDs in it too. Granted that took me over 40 years to accumulate but it’s indicative of what I try to know about the subject. Many instructors have neither depth nor breadth to their repertoire. They learn one set of skills at a mediocre level and stop there. I see it time and again. That’s a mistake; never stop learning. I take classes from others regularly, frequently just short evening courses. Those short evening courses are how we are going to begin to reach the majority of new gunowners. And, even if someone else’s class is terrible, like one I took at an indoor range last week, you get important insight about how NOT to do things. Learn from others’ mistakes as well as your own. With regard to measuring one’s skills, I think it’s important for everyone to benchmark where you are and try to improve that continuously. For an instructor, it’s doubly important. There are a lot of different benchmarks you can use, just having one is the important thing. Shoot it periodically and try to get better at it. You may find that the benchmark you use changes over time to something more challenging and that you have multiple benchmarks that measure different aspects of shooting. One of the main advantages of shooting in competition is that you find out you’re not as good as you think you are. 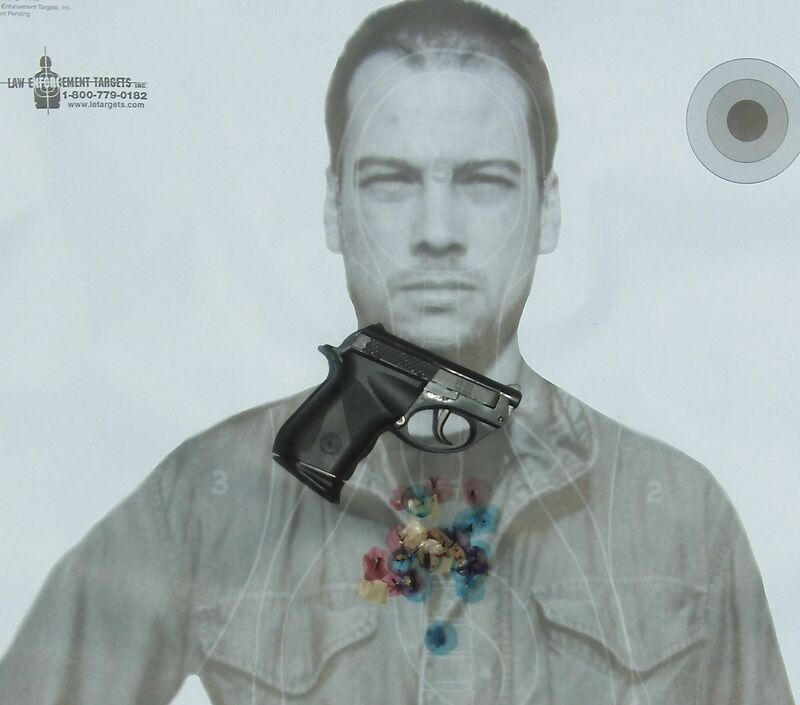 Ego is the Achilles heel of many shooters and instructors. I also think it’s important to demonstrate drills for the class. Time dependent, it doesn’t have to be all of them, but the first drill and any complex drills should be demonstrated. People are visual learners, for the most part. Telling people how to perform a physical skill is simply not as effective as showing them, IMO. And don’t take your subject matter knowledge for granted about what constitutes a ‘complex’ drill. I have had very intelligent students who couldn’t figure out what the NRA MQP drills were until I demonstrated for them. Have an inert gun to do this, where it’s appropriate. If it’s livefire, I use a live gun. If I’m demonstrating gunhandling or tactics, the inert gun comes out. I have both of them on me when I’m teaching. Most importantly, don’t get complacent about anything. Your skills, safety, communication, etc. need to be at the forefront of your mind whenever you’re teaching. Every story we hear about an instructor having a Negligent Discharge or shooting a student in class has complacency as its root. Complacency is a killer, don’t go there. Structured shooting is a whole new world for most people. Help them understand it in every way you can. I’m not so sure about the empirical reality of the Farnham [sic] idea: “The person most likely to shoot you is YOU. Why? Because you’re always there.” It just seems incorrect to say, so I am wondering what the broader idea he is conveying is supposed to be. Since John’s statement generated some incredulity, I will elaborate on it. His comment referred to the often atrocious gunhandling he sees, not people committing suicide. Improper and dangerous gunhandling regularly results in gunowners turning themselves into casualties, although not necessarily fatalities. The reason I included John’s quote began with a statement he made in the first DTI class I took. The statement was “Eighty percent of police officers who are shot shoot themselves.” Once again, he was not referring to suicide but rather negligent shootings where the officer injured himself or herself. Whether that is still true, I don’t know. I do know that holster manufacturers are sued numerous times each year, unsuccessfully, by police officers who shoot themselves in the process of drawing or holstering. However, given the multiplicity of reports I have about private citizens who accidentally shoot themselves, I wouldn’t be surprised. It happens a lot more often than we like to think. The two casualties I have had on ranges I have been running were self-inflicted non-fatal wounds. One was a highly trained and experienced police officer who had a momentary lapse of concentration and technique. This is an excerpt from a detailed incident report by the LAPD Board of Police Commissioners. Officer A was off-duty and inside his residence. Officer A was seated alone in the living room of the residence cleaning and putting tactical lights on his personally owned handguns. Officer A indicated that he had completed cleaning his .40 caliber Springfield Arms semi-automatic pistol and during this process he had inadvertently seated a partially loaded magazine and released the pistol slide that chambered a round. Officer A mistakenly believed the weapon was not loaded, so he pulled the trigger and caused the weapon to discharge. Officer A received a through and through bullet wound to his left hand just below the little finger. The bullet traveled through Officer A’s hand, then through the back of a couch [the interior decorator in me thinks it was a sofa and not a couch], and the living room wall adjacent to the couch, entering the garage and striking the metal back of a clothes dryer before falling to the garage floor. Officer A was treated and released from the hospital the day of the shooting. The BOPC found that Officer A’s use of force was negligent, requiring Administrative Disapproval. Unfortunately, some incidents prove fatal. Gunshot wounds to the upper leg can sever the femoral artery, resulting in rapid death. RIP Sgt. Davis, who was an experienced officer with 8 years of service, including on SWAT. This video of Tex Grebner shooting himself contains explicit language. I give him credit for taking responsibility and showing how easily this can happen. There is an image I see used on Internet websites that makes me cringe whenever I look at it. That’s a good way to shoot yourself in the support hand. The number of beginners I see doing this at IDPA matches is legion. I warn them immediately to stop doing that. If your holster doesn’t allow you to draw from it with one hand, then you need to stop using it immediately and get a new holster. 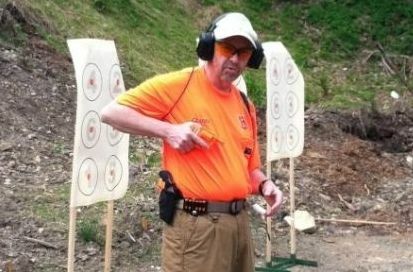 If IDPA and USPSA Production Class do nothing else other than to train people to draw their gun without putting their support hand on the holster, that’s a great contribution to the shooting community. For those who say IDPA isn’t training, I would counter that it’s excellent training in safe gunhandling. There’s nothing like getting disqualified for a safety violation to make the point that someone’s gunhandling needs work. Proper gunhandling has to be at the forefront of our minds anytime we handle a firearm. Firearms are mechanical devices; they do no more and no less than we make them do. Consequently, they are relentlessly unforgiving of carelessness and/or stupidity. Pointing your weapon at yourself can have serious consequences. Some holsters force us to point our weapons at ourselves. But placing your hand in front of the muzzle when the pistol is out of the holster is a prescription for an unhappy outcome. One of my personal peeves is the devices that shotguns shooters put on their shoes to rest the muzzle on. I have some really nasty pictures of feet with holes from shotguns in them. Those people are unlikely to ever walk right again. Similarly, taking a high performance anti-personnel bullet in the hand at point blank range is unlikely to enhance your ability to play the piano.